WOW!! If like us you’ve been following the minute-by-minute updates of the #wib2011 on twitter then you’ll know that the 2011 Women In Boardsports Retreat held in Saas Fee was eye opening, insightful and inspiring – and remains the top forum for girls from the across the skate, snow and surf industries to come together, exchange ideas, discuss challenges and have a good dollop of fun along the way! Mimi Knoop (pro skater) presents “the state of women in skateboarding…” which we trust included mention of The Alliance and Hoopla. We of course haven’t mentioned any of the skate sessions or snow sessions that took place – any of the delicious meals, kareoke or chill out times, but you can check out all the amazing photos over on the Flickr photostream here. Word has it that the next retreat will be in Miami. 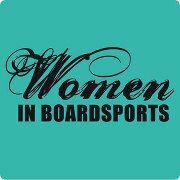 Watch this space or the WIB facebook page for the all the latest or their blog here. The best event to go to if you want to meet like minded women, visit a beautiful town, do some snowboarding in October! !